It’s HOT outside…Chill out with SIZZLING SUMMER SAVINGS at Adrian’s! 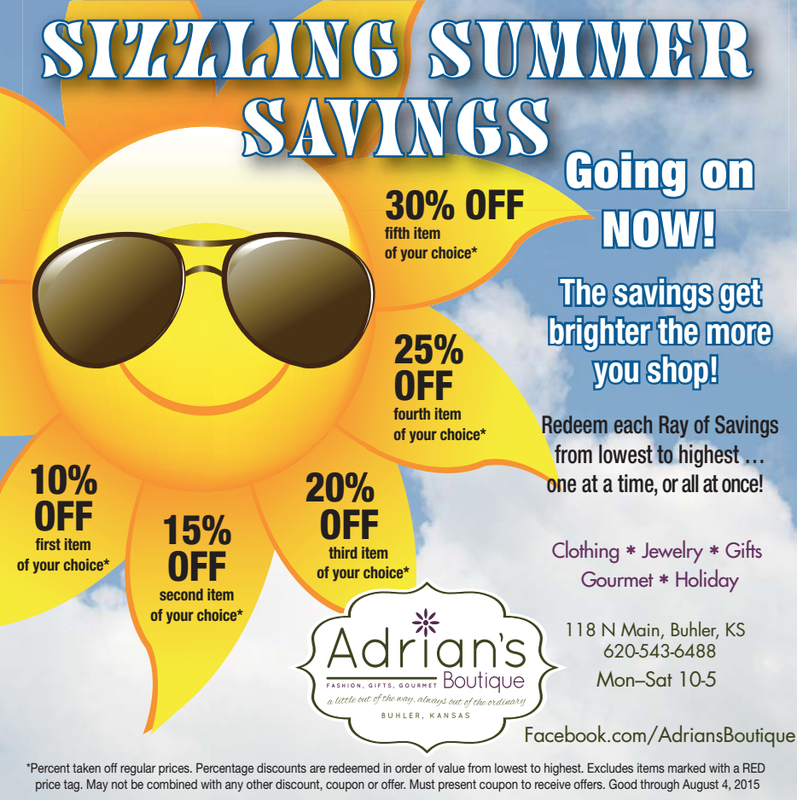 There’s always a good reason to visit Adrian’s Boutique in the City of Buhler… and with our Sizzling Hot Deals going on, this week would be a great time to come over! The savings get BRIGHTER the more you shop! Purchase one item – get 10% off…Find another item, get 15% off… A third item will be 20% off, and the fourth will be 25% off… Shop a little more and you’ll get 30% off of that item! We start with 10% off the LOWEST priced item and work our way up…so you save the most on the HIGHEST dollar item! Our clients are loving this! 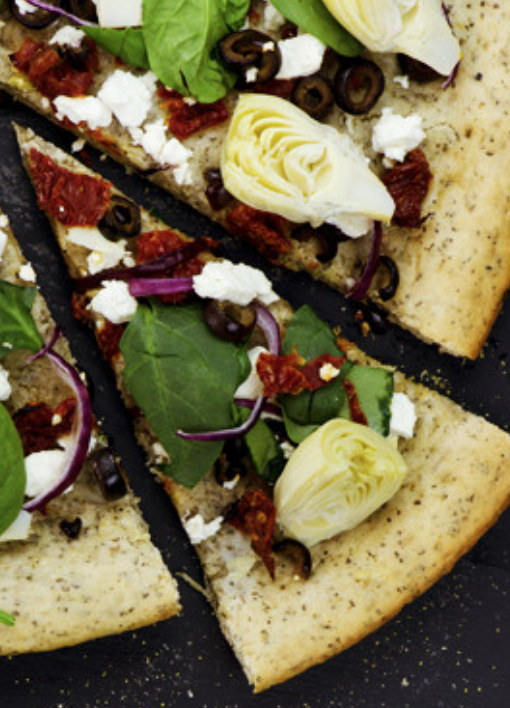 We are always looking for delicious recipes and this one from Molly who owns Molly & Drew – The Beer Bread Company is a real winner! Molly’s delicious bread, dessert and dip mixes are exceptionally well made. We have served her products over and over and over again because they are quick to put together and our clients just LOVE how they taste. Mix pudding according to directions, add strawberry daiquiri dip mix and stir together well. Let thicken for 5 minutes or so. Spread pudding mix evenly over the top of cooled yellow cake. Chill for 3-4 hours. Spread on Cool Whip layer before serving. Garnish with strawberry slices or mini chocolate chips and serve. Mmmmm! This is also delicious with Molly & Drew’s Amaretto Cherry Dip mix substituted for the Strawberry. Give it a try! 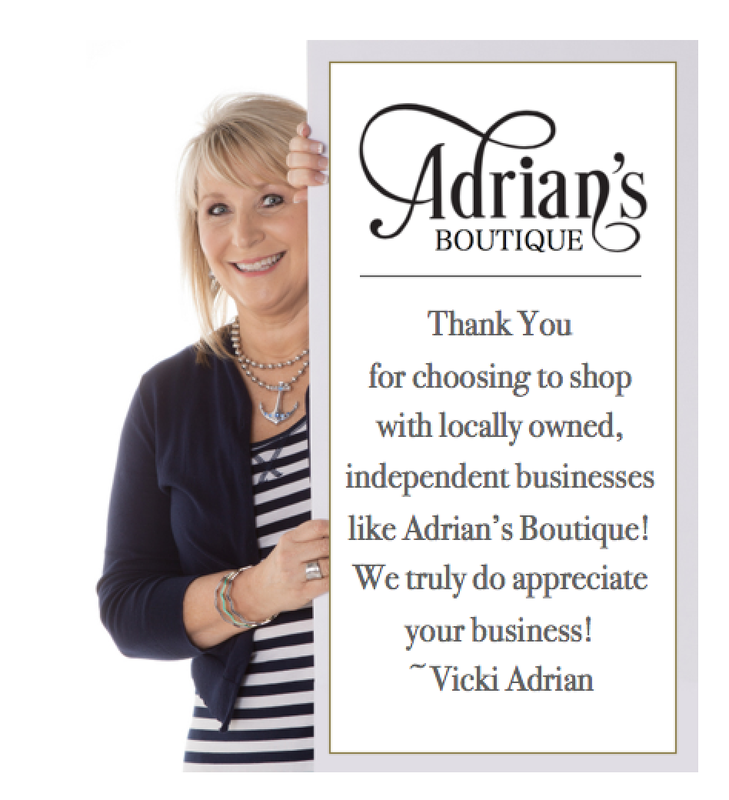 Thank you so much for your commitment to shop local businesses like Adrian’s Boutique. We are always searching to bring you the best products, at reasonable prices, and to give you exceptional customer service on every single visit to our store. If you haven’t been by lately, let me extend my personal invitation for you to stop by soon! The City of Buhler is a great little town to visit and an even better place to live!